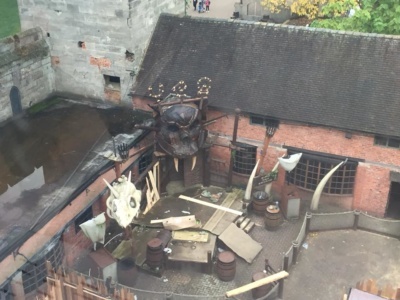 Smoke House – TowersStreet - Your premier Alton Towers guide! In January 2018 it was announced that the Smoke House development had been shelved for the foreseeable future. 2018’s line up is set to include a revamp to the popular Mutiny Bay Courtyard dining establishments. The developments will see the removal of most of the current facilities, including The Pirates of Mutiny Bay stage and existing Courtyard BBQ servery. 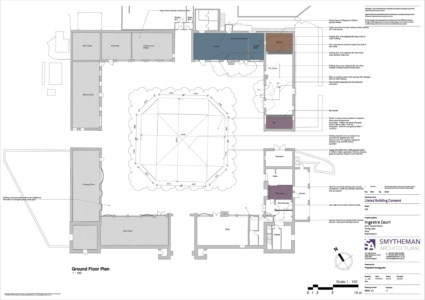 It will also see a reduction in the size of the Courtyard Tavern, with the indoor section of the bar giving way to the new restaurants servery. 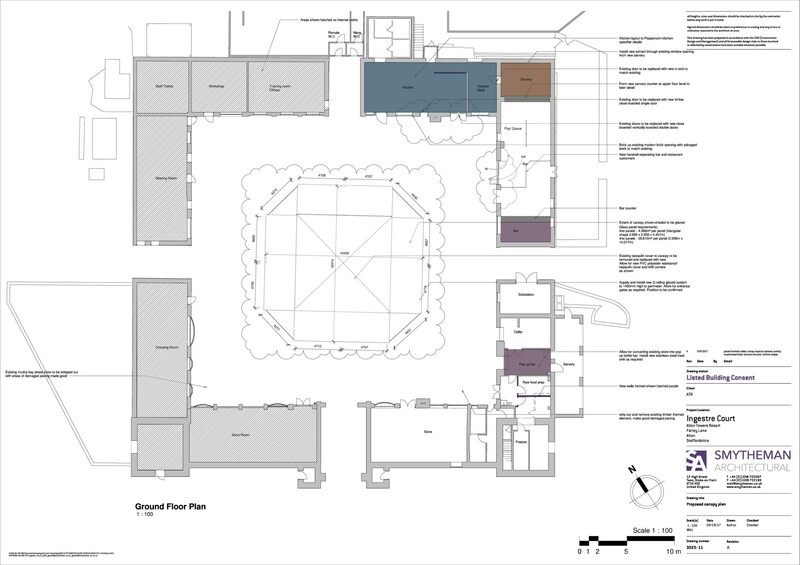 The existing Tarpaulin canopy will be replaced with a new canopy, and a glass railing system will be added to make the seating area more enclosed whilst retaining the sight lines from the entrance archways surrounding the courtyard. 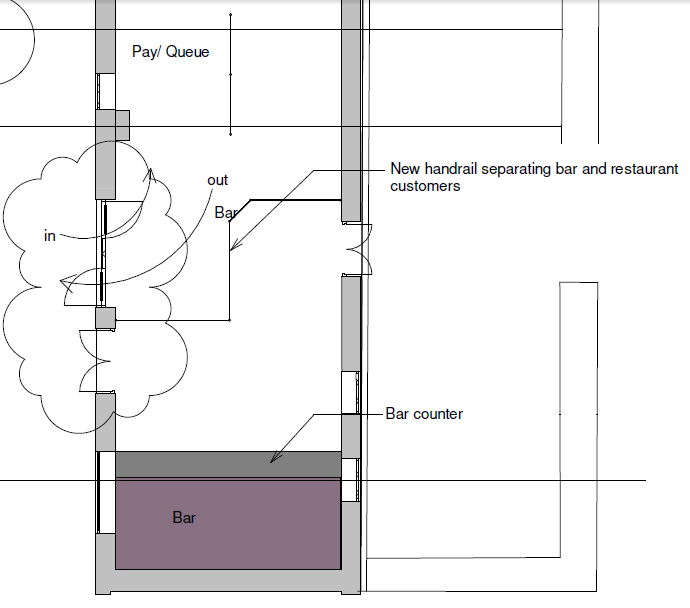 The changes will see the former Courtyard BBQ area removed, an installation noted as unauthorised within the documents. The outlet has already been standing empty for two seasons. There will be a number of changes to the external access doors and windows in the area, including the reopening of a former closed off doorway. Based on the plans as they are available, the former Pirate Show stage will be removed, as will the wooden structure in the corner of the courtyard. The proposals will result in significant changes to the existing Courtyard Tavern, with much of the internal bar space given over to the new servery and its queue. The bar remains but as a walk through unit serving the current beer garden as well as the courtyard. 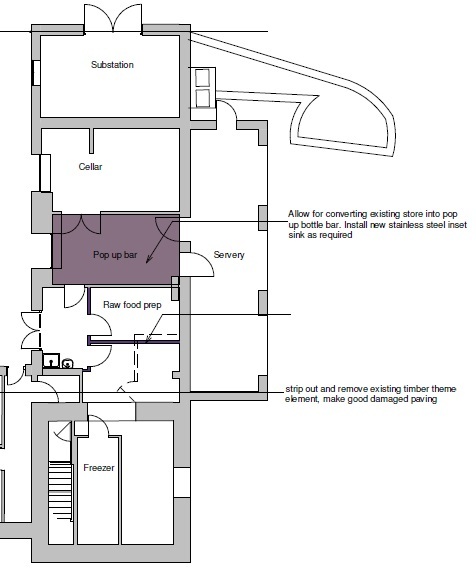 A pop-up bar is also proposed, which would convert an old store room and be accessed from the inside of the Courtyard behind the Pasties/Pancakes/Hot Dog servery. Several of the planning documents refer to the new restaurant as a Smoke House. 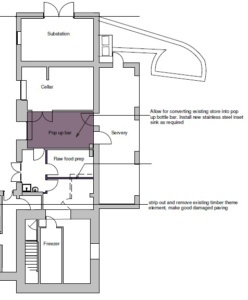 The Smokehouse, similar to the one that opened at Chessington World of Adventures in 2016, was also mentioned as a potential replacement for The Flume station in the first set of SW8 plans to be released. The eatery was removed in subsequent revisions, and the Courtyard development would seem to provide the perfect alternative. We can more than likely expect the menu to be similar to that of Smokehouse BBQ and Bar at Chessington with a heavy focus on smoked meats such as pulled pork briskets and ribs and associated side such as home-made slaw, mac and cheese or sweet potato fries. We can also expect a menu that includes appropriate sharing platters and kids meals. Here at TowersStreet we hope the park also take the opportunity to introduce some craft-style beers to revamped Tavern to compliment the new menu choices. Construction of the new restaurant will take place over the course of the closed season and the restaurant is due to open at the start of the 2018 season to complement the neighbouring SW8. The Courtyard’s redevelopment however is not as straight forward as most construction projects since it will first be home to a new maze for this year’s Scarefest. This means that removal of the existing facilities began as early as summer 2017 but construction proper cannot behind until the Scare Maze equipment is removed.